​With the festive season approaching and in view of our imminent shift to Taylors Arm I’m attending early to Christmas gift strategies and shopping. Resigning myself to the inevitability of on-demand occasion-dictated gift exchange but hopped off the consumer-retailer spending hamster wheel, once again I’m favouring gifts of products we’ve enjoyed this year, purchased locally from people or organisations where dollars make a difference to lives & families not corporates & shareholders. To package the goodies, I popped over the road from my office building to Eastland Officesmart and grabbed funky green paper bags for a $1 each. One of the unfortunate things about moving from the city is we’ll be no longer within walking distance of our local Eveleigh-Carriageworks Famers Market so I’m stocking up on gift items of Olsson’s Australian Salt and Prickle Hill Worcester Sauce. I’ll also pick up a box of Jollie Gourmet dog treats for the lovely Lucy, my younger sister’s pooch. I ordered boxes of my favourite Daintree Tea, and to avoid paying shipping for online shopped Oxfam finger puppets for my new niece, I added bargain multi-packs of fair trade chocolate as well as a couple of cat prezzies for my other sister’s kitties Addy & Nutmeg for whom play is preferable to food. Getting in the swing of imminent Taylors Arm self-sufficiency, to add personal homemade touches there’ll be Bespoke Muesli, liquid hand soap, and after test baking the Passion Fruit Garden’s Gingernuts recipe I’ve designated them Christmas Biscuits 2015. For Nambucca Valley flavour there will be perennial favourites; macadamias from MacNuts and soap from Perry’s Lemon Myrtle. Over the past few years our gift giving trended to consumables; a response to our cupboards being incrementally stuffed with stuff. It’s my way of taking a stand, attempting to influence by example because despite ongoing efforts, we’re unable to persuade family and friends that although we appreciate the gesture we don’t NEED Christmas gifts. During recent space clearing in our house at Taylors Arm I filled a box with well-meant but superfluous gifted miscellany and moved it to the G.O.’s shed prior to its next stop at a charity store in town. Possibly from whence it will do the rounds again and end up nicely wrapped under someone’s Christmas tree. Not mine, I hope. ‘Tis the season to shop small. As I see it, the alternative is the slippery slope uncannily depicted by images from depressing artwork portrays what our societies have become. Thanks to Celia of Fig Jam and Lime Cordial for hosting In My Kitchen and the IMK community for foodie inspiration & the virtual company they provide. If you’d like to join in, link back to Celia’s blog. This entry was posted in Blog and tagged Australia, Christmas, festive season, in my kitchen, my life, sustainable living. You could always not buy Christmas presents … but you are pretty family orientated so maybe that’s difficult. Although my parents stopped bothering with Xmas and birthdays, and as you say, who NEEDS the gifts? There are other ways to show generosity. Family gifting is not negotiable for us but I push the boundaries as much as I can. We’ll be at TA this year with the G.O.’s family for Christmas Day but next year the plan is a get together with my family and opening presents around the tree. I got off the Christmas present bandwagon 5 years ago, and now the Husband has joined me. We don’t give gifts to friends and family, we make donations to charity in the name of our loved ones. And we keep it close to home; Aussie Helpers is a fantastic organisation that provides relief to Australian farmers who are in desperate straits, in the form of feedstuff for their livestock, help with children’s school fees, supermarket vouchers, fencing supplies, etc. Giving is a wonderful alternative to gifting… it may be we can implement it in the future in combination with homemade goodies. We are of ‘like minds’ on this issue, Dale. I wish I had the local resources you do, but I’ve ordered a couple of things online and that will do. We don’t have much family, only our daughter and her partner. One of my gifts will also be the Nambucca Macadamias you put me onto. Thanks so much. I’m SO impressed by your organisation and choice of items, well done!! We’re quite often of like minds 🙂 Thank you. I’ll miss the weekly markets but there’ll still be online shopping and the hunt and thrill of other local markets. I think macadamias are always the answer! If I make biscuits I have to give them away, otherwise I’d eat them. We do a charity gift drive at work, and the gift cards have been most successful. I can imagine you making more of your own jams and biscuits when you’re living at TA, Dale (I love the sound of the Passion Fruit Garden’s Gingernuts). I’ve been getting into a lot of baking lately 😉 I gave up on Christmas gifts years ago and I guess this come from coming from such a large family. Now I give donations or buy lottery tickets for loved ones. I love receiving homemade gifts (remains to be seem how the family feel about my efforts! ), and even the occasional lottery ticket, and was thrilled one year to receive an Oxfam ‘chicken’ donation. Inspiring approach to the gift merry go round that is about to occur. It’s a pain. But I have many grandchildren. My only rule is not to give gifts that are large, made of plastic, which will end up as landfill when the littles get older. Books and art materials are the go. I know a family who give ‘experiences’ to Children for Christmas. These can be expensive though- a night safari at a zoo, circus training, and so on- done in a group with all the cousins. Great minds think alike… the G.O.’s grandkids and their parents got cash with which they bought a pass to various Sydney attractions – the Aquarium, Madame Tussauds, Manly Aquarium, Luna Park etc and have been for the past few weekends gadding around those places which are rites of passage for primary schoolers… Christmas Day for them is gift overload. As well as the finger puppets my 6 month old niece is getting The Girl who Made Rainbows a local Newtown book and her older half brother is getting Animalium, which might be of interest to your grandchildren. I will file those other experience suggestions away, as we’re looking for new ideas each year. Yes, yes, yes! Last year I focused on good quality used books from a lovely couple who have a stall at our local market. But your consumables focus is an excellent way forward, although this year we are going to be away from our larger family circle, huddling together up north and I reckon that ‘gifts only for those you are with’ is another policy that could be implemented to help with the cut back process. So happy for you guys! T.A. posts are going to be fun!! I floated the idea of gifts for only those you are with but it’s still under consideration… not likely to happen… unless after a couple years of homemade macrame plant holders and jams things change! Hah, hah! Scary gift choices may do it! The only problem with the ‘gifts for only those you are with’ senario is that it never seems to apply to the Grannies…they enjoy those gifts!! Sounds like you’re well on the way to giving everyone a great Christmas Dale. It’s great you’re giving gifts sourced locally and helping small businesses. Much as I like Charity Christmas Cards for general use I try to buy individually hand crafted cards for specific people at local craft fairs. You know they won’t get another card like it. Handmade cards are great, usually I buy Cat Protection Society cards but this year I had some printed with a change of address message too. However, they might be something I can do next year. I buy some of my gifts at Open Studios when the artists here in Santa Cruz open their homes in October for two weekends . Other than that I get little things and cookbooks from my blogger friends . When I was a kid all our gifts were homemade. My dad made me the cutest dollhouse. I sometimes bake for friends . What a lovely idea buying from art events, I’m filing that for future reference. Your comment has evoked a wonderful memory… my Dad made me a preschooler size table & chairs, and later and iron and ironing board similarly for my sister. Nothing nicer than a carefully chosen gift both for the recipient as well as the giver. I much prefer the handmade things which show the thought and love that had gone into them. A friend of mine makes her cards by sawing bits of fabric onto blank cards, they are the loveliest creations ever. Homemade craft cards are delightful and an art-form, I think. I came up with this idea for gifts as the items are special local/homemade/small business items we enjoy, and use all the time but cannot be bought at supermarkets or shops. You’ve chosen wisely. Growing up, gifts did not cost that much and we did not expect all that much. Christmas meant other things. Times – and family communities change, it’s nice to circle back. I thought lf you the other day, when I thought of adding a couple of mangoes to my sister-in-law’s goodie bag, she loves them but seldom buys them for herself… we previously discussed when fruit a festive treat. Mangos are perfect! They are such a party animal. Hi Ella, I wouldn’t mind one of your gifts. Sounds like you liked the gingernut recipe – it is the best I have found. They taste like real gingernuts, don’t they? I just had 3 gingernuts with a cup of tea and can attest they are the real thing, and have only gotten harder and better since I baked them last week. I’m now pretending they aren’t there so I don’t eat any more! Ella, don’t leave them too long as they could go soft. If that happens, just put them in a low oven to dry them out again. Aren’t you both thoughtful and dligent! I like the look of the white hard soap (if that’s what it is – I lke soaps – have a weakness for expensive ones I don’t indulge). I hope the lucky recipients will be grateful. I once made chutney and various other goodies including pickled pears for someone close to me – the pears were kept in their pretty, large jar on the fridge for 3 months then thrown away. (My own were eaten, amongst other things, with cheese and roast pheasant.) My sister, for whom I made a Christmas Pudding (what a palaver, then 6 hours boiling it) bought another one from a shop for the Christmas day family meal as she didn’t know what mine would be like. (It was fab though I say so myself as shouldn’t!). I haven’t done this again. Fortunately we have few people to buy for and this year the family that didn’t trust my Christmas Pud is getting a job lot of potted shrimps – some with smoked butter, some with whisky butter – from my favourite local fishmonger! Thank you for thinking the best of me… but really I’m probably desperate and dogmatic! Job lots work for me, everyone gets the same or similar. Wow… homemade chutney and pickled pears… would be eaten up by January in our house. My sister gave us her homemade nectarine jam one year, and I told her I’d be happy to get the same thing every year. Last year she gave me the remaining jar 🙂 Potted shrimp with butter, whisky or otherwise sounds amazing, as does homemade Christmas pudding. I’m pleased you got to enjoy your pudding efforts… I won’t eat bought, which doesn’t stop the in-laws offering or bringing one every year which I send home with them for later. I don’t make pudding but on occasion I make Christmas fruit cakes. My son-in-law loves to eat Lions charity Christmas cakes. When I suggested they weren’t hard to make, he challenged me to do so for him. After I handed them over I never heard about it, so good bad or indifferent, he won’t be getting any more. So, so much to love about this post. From the hamster wheel at the beginning to the Shop Small Business at the end. I too am a fan of consumables or small items that give back. I’ve been hindered this year by no kitchen but that doesn’t mean I haven’t been creative. One of the things I bought was a job lot of Oz Harvest tea towels for friends. Practical and the money goes to a good cause. When we packed up the house for the renovation I donated a bit to charity and flogged a lot on ebay. I like to think I keep a tight ship when it comes to inbound items these days but they still seem to appear. I’ll be doing another cull before I re-pack the house. Like I said – Great Post! Thank you for the lovely comment and the Tweet 🙂 Oz Harvest tea towels, great idea – I’m tucking that away for next year. In combining the 2 households we’re keeping select items for the yet-to-be-purchased caravan, and some household item spares as I’m sure as soon as I throw a useful duplicate out, the original will break. Of the remainder I’m not sure it even merits going to a charity store. Wow I missed all those typos! My parents are easy to please… And my challenge is getting… Guess that sleep deprived weekend is catching up with me and auto correct isn’t helping me out! Thank you. We try to see the big festive picture not focus on one day. I can see progress, although some people-things are likely to never change. Great post. I do miss the convenience of the city when it comes to getting food delivered and grabbing anything I needed any day of the week. Online shopping is great and free shipping works well out in the country here. I’ve been discovering the awesomeness of holiday craft fairs for shopping local. Just got some honey and an amazing apple cider horseradish jam. Thank you. Much of my shopping is done on-line even supermarket household necessities… leaving me free to weekend fresh food shop at farmers markets. The jam sounds lovely. Ella Dee, have I ever complimented you on the quotes you’ve featured on your “About” page? (If not, I’m entirely remiss… LOVE ’em!) 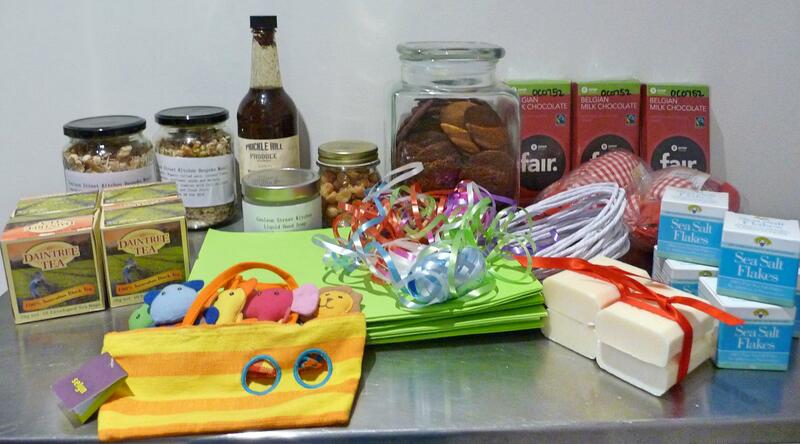 I also love your phrase: “on-demand occasion-dictated” gifts in this post. Here’s to “shopping small” and personalizing gift-giving efforts during the upcoming holidays. “Stuff” is so not what it’s about! Thank you. I love wise words, and regularly borrow them 🙂 I’m pleased to say I’ve survived this years festive shopping exercise and have only to attend a few last minute items. But I’ve begun compiling a mental & Pinterest file of non-stuff ideas for 2016.
good luck with your move and i agree about not needing gifts. nice to make them for friends and family. in our middle class, middle aged lives we don’t need much!